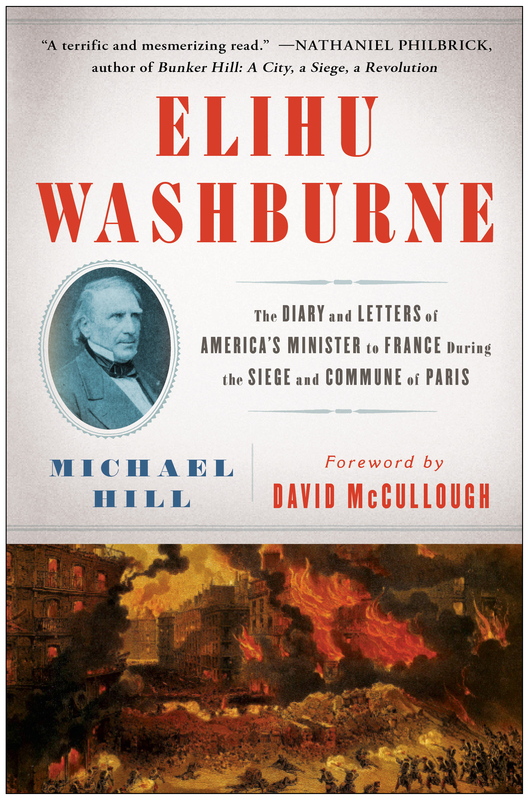 The inspiring, little-known diary and letters of American diplomat Elihu Washburne, who gallantly provided vital support to his countrymen and other nationals during the brutal Siege of Paris and Paris Commune. This is the remarkable and inspiring story—told largely in his own words—of American diplomat Elihu Washburne, who heroically aided his countrymen and other foreign nationals when Paris was devastated by war and the ensuing ravages of the Commune. Elihu Washburne was appointed minister to France by President Grant in 1869, arriving in Europe shortly before the outbreak of the Franco-Prussian War. He stayed at his post even as the Prussian army laid siege to Paris, and afterward when the revolutionaries of the Commune embarked on a reign of terror that filled the streets with blood. He was witness to countless acts of unspeakable desperation and violence, and yet he remained, at great risk to his own life, to protect American citizens and others as best he could. Michael Hill provides essential background and historical context to the excerpts, which are drawn from the original manuscript sources. Filled with political and military insight, Washburne’s writings tell the tale of an American hero rising to greatness in the midst of difficult and extraordinary times. Within hours after the outbreak of war, on July 15, 1870, word reached Washburne by telegraph in Carlsbad. It was “like a clap of thunder in a cloudless sky,” he wrote. He quickly set out for Paris and along the way was caught up in the frantic mobilization for war. “The excitement was something prodigious, recalling to me the days at home of the firing upon [Fort] Sumter in 1861 . . . The troops were rushing to the depots; the trains were all blocked, and confusion everywhere reigned supreme.” When at last he arrived in Paris on the night of July 18, the city was in chaos. “The streets, the Boulevards, the avenues, were filled with people in the greatest state of enthusiasms and excitation,” he would recall. The declaration of war had “inflamed the natural hatred of the Parisians toward the Germans.” Many German nationals were arrested as spies and some later executed. A proclamation by the French government ordered the immediate expulsion of some 30,000 Germans who “came in shoals” to the American Legation, desperately seeking protection and assistance. Amid all the confusion, Washburne barely had time to dash off notes to his wife and brother after the grueling journey back to Paris. You will see I am back again in Paris. I telegraphed you yesterday from Belgium that I was on my way. I heard of the declaration of war on Saturday and left that night and arrived here at 10 o’clock last night after a terribly hard and continuous trip of 52 hours . . . I was sorry to have to give up my cure, but it was inevitable. This is my place where duty calls me and here I must remain. I have no time to write particulars this morning . . .
You see we are in troublesome times . . . I got back last night a good deal “banged up” and . . . worse off than I was when I left two weeks ago. The suddenness of the terrible events which we are now confronting appal the world. No human ken can measure the consequences . . . that will result from the fearful conflict which is impending. For one I had prayed never to see more war but here I am [in] the very midst of it and in a position of great responsibility and labor. I shall endeavor to meet, as best I can, all the requirements of my position . . . My Legation has been filled today with Prussians wanting to get home and I am in an important correspondence with the Foreign Office on that subject. Indeed I am overrun all the time. It is as bad as being Secretary of State at the advent of a new administration. The war is on the most miserable pretext but it could not be avoided . . . Both sides are ready . . . and will fight with unheard of desperation. I take no sides, but preserve an “armed neutrality.” Adele and the children are well and . . . at La Rochelle, where they are taking sea baths. The Lord knows when I will see them as I am now tied to Paris. On August 2, the first skirmish of war took place. French morale was briefly boosted when the army overran a small Prussian force at Saarbrücken. Back in Paris a great triumph was declared, but four days later, disaster struck. The Emperor’s forces were crushed and routed by an overwhelming Prussian force at Weissenburg and Spicheren. “The two nations were in full war, and blood was flowing like water on both sides,” wrote Washburne. There was a tremendous time down town today, in a false report of a French victory. Somebody read a pretended dispatch that the French had taken 25,000 Prussian prisoners including the Crown Prince. Everybody in the neighborhood went perfectly crazy—flags everywhere went out of windows, people rushed wildly into the streets and went to yelling, hugging, kissing, singing, weeping, swearing and tearing. The Bourse went up wildly, opera singers were mounted on omnibuses and sang the Marsellaise and the whole crowd joined—never was such a scene witnessed on the face of the earth. Nobody pretended to doubt the news, everybody had seen the dispatch—it was official. But after the first furor had exhausted itself, somebody ventured to enquire a little and it turned out it was a hoax. The cry was raised that it was a stock jobbing affair, and the . . . cry was raised, “à la Bourse” [to the Bourse] and away the crowd—20,000—rushed furiously to the Bourse, broke in, seized every fellow they could get hold of and threw him out of the window or door. And then how flat they all felt—knew it was a canard from the beginning—the flags were all pulled in and the crowd dispersed swearing vengeance. I went down to the Rue de Lafayette about four o’clock yesterday P.M. I saw some few crowds in the street, but all was pretty quiet. On my return through Place Vendôme I saw a big crowd in front of the Ministry of Justice. I told the “cocher” [coachman] to hold up in order to see what was going on. I immediately discovered [Émile] Ollivier1 at the window making a speech to this crowd, but it was so noisy and turbulent that I could hear nothing and so I continued on my way home. I was so tired that I did not go out after dinner, but Mr. [Frank] Moore [assistant secretary to the American Legation] went down town and came home at midnight. He represents the effervescence as terrific. Place Vendôme was filled with an excited crowd uttering menacing cries for Ollivier. The current seems to be moving heavily against him, as the author of that savage and terrible press law which prevents the people getting any news from the army. The news of the battle of Weissenburg was published Friday morning in the London Times, but they did not let it out here till Friday noon, and then only a few lines. The people were terribly incensed . . . Last night the people were in the highest possible state of excitement—Champs-Élysées, Rue de la Paix, Place Vendôme and all the boulevards were filled with excited crowds singing, yelling, threatening. There is no doubt but things are very serious, but I am as quiet as a May morning. Yet I don’t know what is to become of all these poor Germans under my protection. The Gov’t is taking stringent measures against them, and I can do but little for them. The crowd at the Legation continues. About three o’clock yesterday P.M. a man came in and told me the news, and perhaps none more pregnant with great events. The news of the morning that [General Charles Auguste] Frossard’s corps was in retreat was very significant, but I was unprepared to learn that the crack corps of the French Army commanded by their crack General, Marshal [Patrice] MacMahon, had been defeated in a pitched battle, for the Emperor himself had telegraphed in these words: “Le Marshal MacMahon a perdu une bataille.” [Marshal MacMahon has lost a battle.] And then on top of this news we had the Proclamation of the Empress and the decrees placing Paris in a state of siege and convoking legislative bodies. You can well imagine the effect of all this upon such a people as the Parisians. It was like the day after Bull Run at Washington only more so . . . The rain which was falling nearly all day gave additional gloom. I went down town about four o’clock P.M. and everywhere found knots of people on the sidewalk reading newspapers and discussing the situation. In the evening I was down town, but while there were great crowds in the street there was no disturbance. The blows received during the day had apparently stunned the mob. There is no news this morning which affords the French people any consolation. A big battle appears imminent and it may decide the fate of the campaign. I must now go over to the Legation where there will be a crowd all day. But at noon I must go to the funeral of Provost-Paradol2 and two o’clock go to see the Empress unless she countermands the order to see me. At two o’clock I went to the Tuileries to . . . [see] the Empress. My interview was short. She received me very courteously . . . [and] then enquired what news I had from my country and I replied that it was all good. “Unfortunately, the continent is not so—here it is all very bad—we have very bad news now.” I replied that reverses were incident to all military operations and that we had experienced such reverses and such disappointments in our war, particularly at its commencement. “Yes,” she said, “I know at Bull Run but, alas! our people are not like yours—the French people give up so quick and become so dissatisfied and unreasonable, while your people have so much courage and fortitude. But I don’t despair and I keep up my courage . . . I think we can retrieve all our disasters.” I then explained to her an observation on the beginning of the war and how our people rallied after our defeats &c. After a little more talk and just as I was about to leave I enquired for His Majesty and the Prince Imperial. When I mentioned the little Prince the mother’s tear started in her eye and she answered trembling that so far he was safe and well. With a few words more I made a gesture of withdrawal and she said, “I thank you much,” when I bid adieu. The poor, poor woman—what terrible feelings she must have. Haggard, pale, worn, she is not the bright and graceful person you saw at the Tuileries last winter. She now confronts the sternest realities of life. As I left I wondered under what circumstances I should see her next time. The Corps Législatif met at one o’clock P.M. and I went in good season to get a seat . . . I was utterly unprepared for the scene which took place. I supposed there was some patriotism, sense and self-respect left among the representatives of the French people, but I was mistaken. If there were one man present who loved his country I wonder that he did not shed tears of shame and indignation. The “Left” of the Chamber, as the republicans or radicals are called, seemed ready and Ollivier no sooner commenced to speak when the row commenced and for two hours bedlam was let loose. Jules Favre3 spoke with the terrible eloquence of Mirabeau.4 [Ernest] Picard5 spoke and then on the other side [Adolphe Granier de] Cassagnac6 denounced the Left with fury, winding up by calling them revolutionists and that if he had his way, he would send them all to a military tribunal before night. A tempest followed that awful threat. The Left rose in a body and yelled defiance to old Cassagnac. Twenty men at a time were on their feet bawling at [the] top of their voices and shaking their fists. Jules Simon7 rushed down to the area in front of the tribune, bared his heart and told them to shoot him down after a lot of yelling from the Left. Seeing something they did not like in [Antoine, Duc de] Gramont,8 they “went” for him. Estancelin9 rushed up in front of him making threatening gestures, and then down swept in[to] the crowd the tall and striking form of the venerable [Louis-Antoine] Garnier-Pagès,10 who shook his fist right under the nose of Gramont, who sat unmoved in his seat. There went up yells, howls, vociferations, threats, oaths. The President rang his bell and finally as the last token and the sign that tumult and revolution controlled the body he “covered himself” and put on his hat. The officers rushed in and separated the hostile forces and finally quiet was somewhat restored. After about two hours of violence the sitting was suspended. At five o’clock the sitting was resumed and a vote of a want of confidence in the ministry was taken and in a twinkling the ministry was out and tomorrow a new one will be formed. Ollivier is terribly odious. His ministry has been guarded by soldiers for two or three days. And today the Corps Législatif was surrounded by a heavy force of cavalry and infantry to keep off the crowd, who were breathing vengeance. Shocking times these and enough to make a man heart sick. Such men cannot face a country in peril, and it seems to me that France is on the very brink of destruction. With Paris in an uproar, Washburne’s wife and children grew increasingly concerned about his health and safety. Meanwhile, Gratiot—“Grack”—had joined his father in Paris. The greater part of the German population has left the city. This Legation has viséd passports and given safe-conducts for very nearly thirty-thousand persons, subjects of the North German Confederation, expelled from France. We have given rail-road tickets to the Prussian frontier for eight thousand of these people, as well as small amounts of money to a much smaller number . . . My time is now a good deal taken up in looking after Germans who have been arrested and thrown into prison. The number is very great . . . The people of Paris were “alarmed, discouraged, maddened,” wrote Washburne. “The startling news had fallen like a thunderbolt over all Paris. The Boulevards were thronged by masses of excited men, filled with rage and indignation.” With this latest defeat, Washburne saw the French government “drifting to a crisis.” In a matter of days, the government would fall, the Empress would flee Paris in disgrace, and a provisional Republic would be proclaimed. This has been a most eventful day for Paris and for France. The absence of official dispatches put out by the French government and the news furnished by the London Times of yesterday convinced me that all was going against the French at the theater of war.13 But at three this afternoon I received a cypher dispatch from Mr. [John Lothrop] Motley14 to the effect that the London Times of this morning said that M[a]cMahon had been totally defeated yesterday between Carignan and Sedan—that the Prussians had captured the French General and staff—4,000 men, 700 horses and 150 guns—that [Marshal François-Achille] Bazaine15 had been defeated before Metz and that the Crown Prince’s army was reported to be at Sedan . . . Reports were also current that the Emperor had been taken prisoner and also that he had fled to Belgium . . . There was a large crowd in front of the Palais Bourbon and a great many people inside the fence surrounding the Corps Législatif. But it was a sober crowd. The truth, so long concealed by the French press, had at length broken upon Paris in all its terrible reality and the people seemed thoroughly stupefied. There was no demonstration and no loud talk. The effect was sad to the last degree. What may yet come from this revolutionary population no one can tell. On September 4, Napoléon III’s Second Empire collapsed. Washburne was pleased, as he had grown to detest the Emperor’s decaying regime. At once, he cabled Secretary of State Hamilton Fish seeking permission to recognize the new provisional government. His request was granted and he immediately communicated the news to the new Minister of Foreign Affairs, Jules Favre. (Washburne described Favre as a “tall, heavy man, with rough, strong features, plainly dressed and with an immense head of hair.” Washburne knew Favre to be a “great orator” and would often seek his assistance in resolving problems during the siege.) The United States was the first foreign nation to grant recognition to the new French Republic. Republic proclaimed . . . Paris quiet . . . The proclamation was received by every possible demonstration of enthusiasm. Lists were thrown out of the window containing the names of the members of the provisional government . . . During this time the public were occupying the Tuileries. Sixty thousand human beings had rolled toward the palace, completely leveling all obstacles; the vestibule was invaded, and in the courtyard, on the side of the Place du Carrousel, were to be seen soldiers of every arm, who, in the presence of the people, removed the cartridges from their guns, and were greeted by cries, “Long live the nation!” “Down with the Bonapartes!” “To Berlin!” &c. During all this time there was no pillage, no havoc, no destruction of property, and the crowd soon retired, leaving the palace under the protection of the National Guard17 . . . Some discussion was raised about the changing of the flag, but [Léon] Gambetta18 declared that the tri-color was the flag of 1792 and ’93, and that under it France had been and would yet be led to victory . . . Enjoying the untold and immeasurable blessings of a republican form of government for nearly a century, the people of the United States can but regard with profoundest interest the efforts of the French people, to whom they are bound by the ties of a traditional friendship, to obtain such free institutions as will secure to them and to their posterity the inalienable rights of “life, liberty, and the pursuit of happiness” . . .
At 2 o’clock P.M. yesterday M. Jules Favre called upon me in person to thank my government in the name of that of the national defense, as well as in his own behalf, for its prompt recognition of the republic and the tender of its felicitations. He again desired that I should transmit to the President and Cabinet at Washington the profound acknowledgments of the government of the national defense . . .
At about 4 o’clock yesterday afternoon a large crowd of French people came to the Legation, bearing the French and American flags, repeating the cries, “Vive l’Amérique!” “Vive la France!” A delegation, composed of very respectable gentlemen, waited upon me in my private room and read a short address, begging that I would transmit to my government the thanks of a great number of French citizens for the promptness and cordiality with which it had recognized the French republic . . . I am not without hope that we may have a peace before long and that we may all return to Paris. I am so lonely when you are all away. You must write at least three times a week a long letter. Be very careful how you spell. In this letter you spell scholar with two l’s and sorry with one r . A man who is going to be a great doctor must know how to spell or he will be ridiculed. This morning I learned that the building occupied by Mr. [Paul] Hedler and his mother as a school for American boys had been broken into yesterday by some soldiers of the National Guard and guard mobile, and partially sacked. The School was run by Paul and Charles Hedler and their mother. Paul and his mother are subjects of the North German confederation, but Charles is a naturalized American. As the two former came under the cruel order of expulsion, they had to leave France and so they concluded to go to England. Pitt was at this school but when they moved it to London he followed, but holding his room in the building and leaving a good many of his things. In view of the fact that Charles Hedler was an American and that Pitt was an inmate of the school, I permitted them to put out an American flag as protection. It seems that somebody in the neighborhood yesterday started the story that there were Prussians in the house, then soldiers broke in, in utter contempt of the flag, seized the concierge and marched him off to the police, took all Mr. Hedler’s papers, smashed everything up in his office, and then made for Pitt’s room . . . broke into his drawers, threw his things all about the room, and carried off all his letters. They then went into the cellar and broke into the wine. They did not do great damage in other parts of the house . . . As soon as I learned what had happened this morning I went thither to get at the exact facts. From there I went to the Foreign Office and reported unofficially the outrage and the insult to our flag to Jules Favre . . . Favre at once saw the gravity of the affair and [the] most energetic measures should be instantly taken to inquire into the matter, punish the perpetrators and to make the fullest reparation . . . They were thronged with the quaintest-looking old carts, farm-wagons, Noah’s arks of every kind, loaded with the furniture of the poor inhabitants of the neighborhood flying to Paris for safety. On the other hand, the stations were thronged with the carriages of the better classes leaving the city. The railroads were so overworked that they finally refused to take any baggage that could not be carried by the passenger himself. Within days, the city, including Washburne’s neighborhood, became an armed camp. In his diary he noted the changing face of Paris and its uncertain future. Every carriage of pleasure has disappeared. The streets are no longer sprinkled or cleaned, and before the recent rain the dust in the Champs-Élysées was so great you could hardly see a road before you . . . The city is but one big camp. Three hundred thousand soldiers passed in review before Gen. [Louis Jules] Trochu19 on Tuesday. There are soldiers everywhere, organized and unorganized, of all arms, uniforms, shades, and colors . . . Streets and avenues are filled with tents and baggage wagons, horses, forage &c. The garden of the Tuileries is filled with artillery. There is a great movement of troops tonight; regiments are marching down the Champs-Élysées and as I write I distinctly hear them singing the eternal but ever inspiring, “Marseillaise” . . .
Michael Hill worked in politics and government before establishing himself as an independent historical researcher. 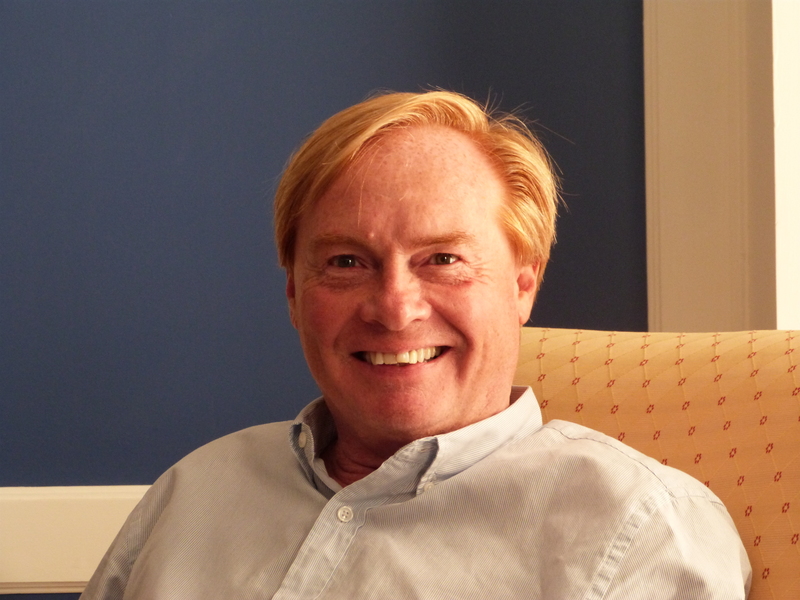 He was a co-producer for Ken Burns’s The Civil War series for PBS, a coordinating producer for the Baseball series, and served as a historical consultant for the HBO production of David McCullough’s John Adams. He lives in Fredericksburg, Virginia. “Elihu Washburne was the eloquent witness to one of the most horrifying sieges of the 19th century. Thanks to the archival and editorial wizardry of Michael Hill, Washburne’s long-forgotten account of the Siege and Commune of Paris is available at last—a terrific and mesmerizing read." "A plucky spirit and revolutionary sympathy emerge from these richly detailed dispatches by America’s intrepid minister to France during the Franco-Prussian War. . . . Evocative, immensely readable. . . . A wealth of historical and personal detail builds a suspenseful story."